Some of the seized property at the Lagos High Court, recently. 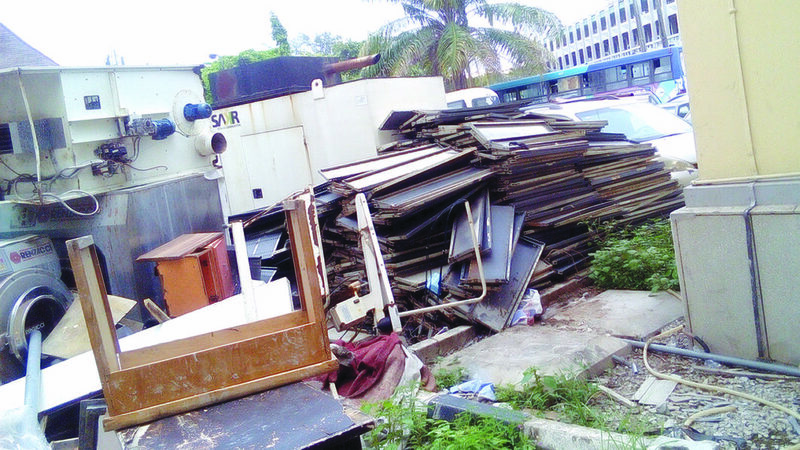 Valuable property and assets, which commercial values are put at over billions of naira are currently lying waste at the premises of Ikeja and Igbosere divisions of the Lagos High Court. Apart from constituting eyesores, these courts are breeding rodents in the court premises, against the wishes of their owners. The property, which are on hold, especially at the two divisions of the court, range from luxury cars, generating sets, household and office appliances, computers, generators and transformers. 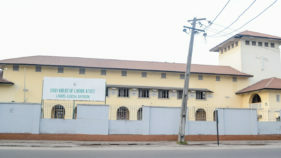 Although, official figures are not readily available, experts placed the value of property to several billions of naira. Experts said they could have been converted to useful commercial value as done in other climes or properly secured to avoid decay. Apart from their level of decadence, which may render them useless at the end of litigation, the properties are also affecting the aesthetics of the courts. They attributed the large presence of the properties to slow pace of judicial resolution, corruption, lack of warehouses, inadequate administrative acumen to deal with such and penchant of Nigerians to rush to court without using alternative dispute resolution mechanism. Although, officials have exonerated the judiciary of the unimpressive situation, stakeholders believed there is still a lot the judiciary can do to reduce the littering of the court with seized properties. For instance, renowned Lagos based lawyer, James Ezike said the situation could be different if the system is working. While lamenting that over 90 per cent of cases in Nigerian courts are civil matters, he said the matters are not given expeditious actions they deserved. According to him, matters are not heard in time because of election petitions that occurs after four years of each election, which are given priority at the detriment of civil and commercial matters. He also said the levying of execution in the court is still clumsy, stressing need to be strengthened administratively. To remedy the situation, the revered lawyer canvassed a situation where courts give appropriate awards both in pre and post judgment interest. Ezike stressed that nominal awards by the courts did not take care of inflation and therefor encourage litigants to stay put in court for several years. According to him, if the courts are awarding adequate damages, then it will reach to the stage where these execution will not be levied because parties will have settled out of court. If parties know that if they loses the case they have to pay too much that they will incur heavy damages in terms of cost awards even after filing of matters, they will resort to settlements and thereby decongest the courts. Also the Chairman of Ikeja Branch of Nigeria Bar Association, Adesina Ogunlana, urged the Lagos Chief Judge, Justice Olufunmilayo Opeyemi Oke to include the the Sherriff department in her reform agenda. Ogunlana stressed that the despicable state of some of the properties also made it unattractive for the owners to take them back. According to him, many of them have become mere shelves because some corrupt judicial officers may have sold off the main things. When approached on the matter, officials of the court declined comment. The head of the sheriff department was also unavailable for comment when Guardian visited his office. 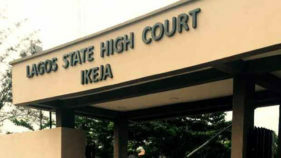 Also the chief registrar of the court, Mrs. Abiola Soladoye asked to be written to before she can react when the reporter sought her reaction on the situation But an official, who spoke to The Guardian on condition of anonymity said the problem was compounded by the destruction of the court’s warehouse at Ilubrin by an inferno in 1996. That site has since become a construction hub now for a residential building. Also a renowned Senior Advocate of Nigeria (SAN), Dr. Joseph Nwobike, said it is not in the interest of a court to pack seized car whose matter has been disposed at its available space. He attributed the problem on the slow pace of justice system in Nigeria, but urged heads of the court and their brother judges to think out a way to preserve the properties either by securing a warehouse or ordering the sale of the properties and putting it into an interest yielding account. This, he said could mitigate the degeneration of the properties. He noted that Lagos used to have a warehouse where property like cars are secured but wonder what went wrong with that arrangement. Nwobike however stressed that this remedy will depend on the peculiarity of each case because that may not be what the parties want. He stressed that the slow pace even affects properties that are wrongly seized as applications are not heard expediously leading to further congestion of the properties. Also a member of the Nigerian Bar Association (NBA) criminal justice reform committee, Emeka Nwadioke said it is highly worrisome that some of our court premises have become dumping grounds for all manner of items, turning them into an eyesore. “In fact, much space is taken up by distrained vehicles among others, such that it is increasingly difficult to find parking spaces in our court premises. “For starters, such properties should be banished from our court premises. The courts should secure warehouses and the like where those items should be kept aside from fast-tracking justice delivery, such that the items do not go to waste, leaving the judgment creditors holding mere shel, he said. 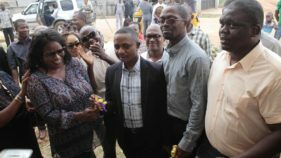 But former Chief Judge of the Court, Justice Samuel Ilori in effort to address the situation introduced new innovations to Lagos court by securing a temporary warehouse . The judge has then promised to establish a special account in banks where proceeds of property sold will be kept. At the end of the day, the victorious party will be paid the amount instead of allowing the court premised to be littered with unwarranted goods. But that was not carried out.